Is There a Slip in Your Grip? If you are active in sports and you perspire heavily, especially on those hot, humid days, you really need to try "Dry Hands." The non-sticky gripping solution for hot, humid or rainy conditions. 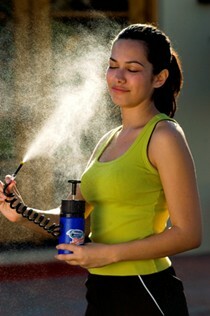 It's so effective it repels water and perspiration. It is currently available through EsgDirect.com in 1 oz. bottles. A little goes a long way. Try it out. A very convenient sized bottle that fits easily into your gym bag, purse or golf bag. "I am very happy to offer Dry Hands Lotion at my dance studio, it is a very popular product. I have some students that would not be able to execute the pole maneuvers without your product. Without Dry Hands they would slip right down the pole and they would lose confidence. Now that they use Dry Hands they have the confidence and the moves." 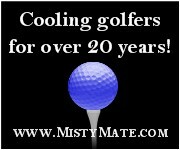 And has been endorsed by several PGA Tour members. Suggested Retail for the 1oz bottle is $6.95 and $9.95 for the 2oz bottle, but we are offering it to you to try at just $5.99 each for the 1oz bottle, and $8.99 each for the 2oz bottle, and if you purchase 12 or more bottles we will discount each bottle. *See below for discounts. We'll ship it via priority mail unless combined with other products. DRY HANDS is used by anyone whose performance is adversely affected by wet hands from perspiration or rain - golf, tennis, bowling, baseball, football, basketball, gymnastics, weight lifting, ice hockey and even pole dancing!